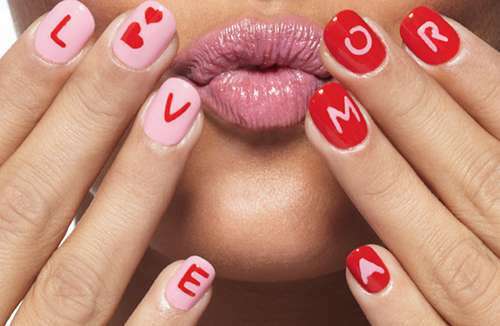 You can choose one of the nail polishes and make your nails shine. Enjoy! The black straps make up many funny hearts and ‘LOVE’ letters in order to show your heart and love for him. 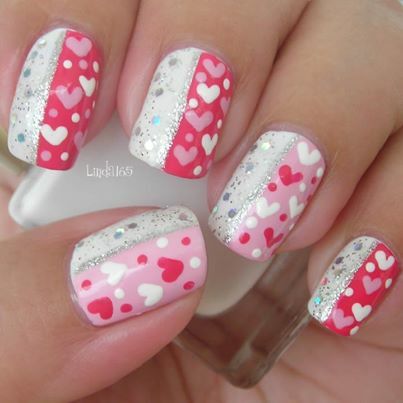 The polish is made by pink, red and white which are suitable for Valentine’s Day. 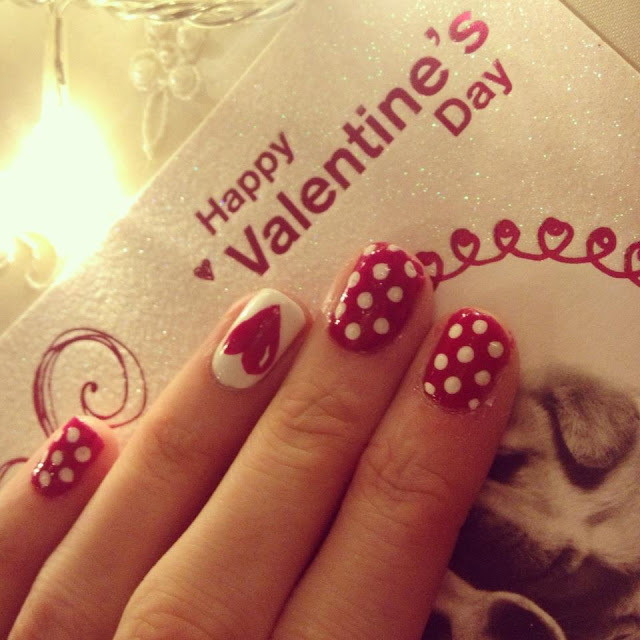 You can show off your love with the polish confidently. 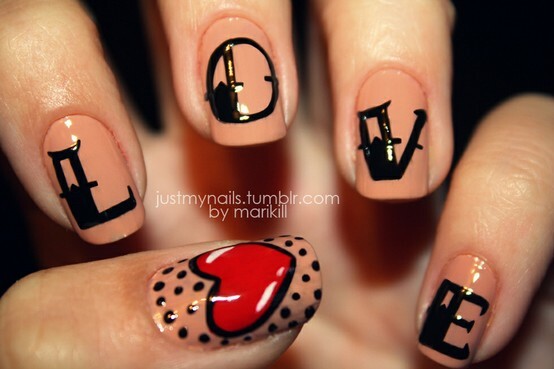 Nothing is better than painting ‘LOVE’ letters on the nails when you want to show your heart to someone. 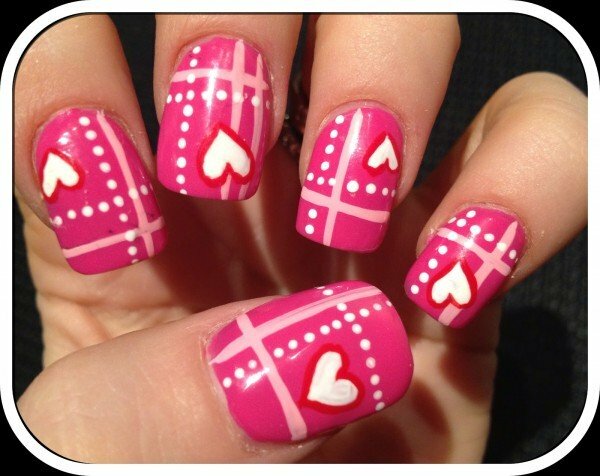 Pink and white polish creates a harmony and comfy vibe. 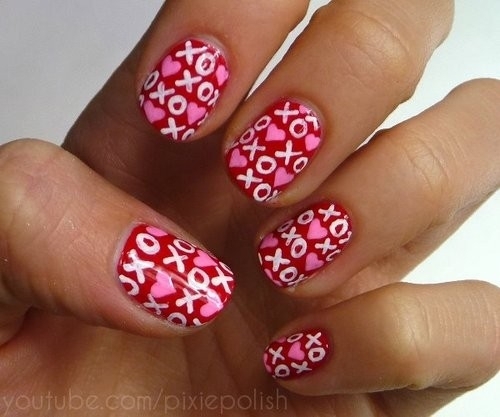 It’s an easy polish for every girl to wear for Valentine’s Day. 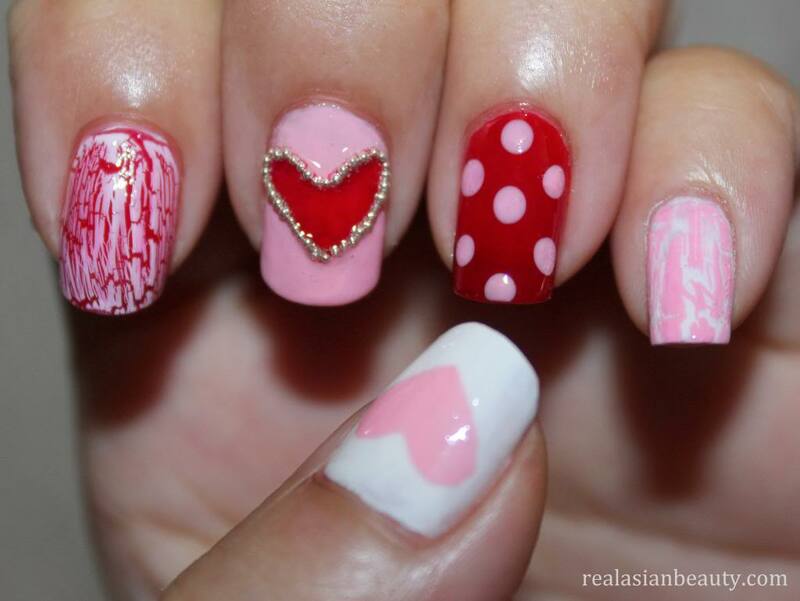 Pink straps, white hearts and dots create a stylish polish. 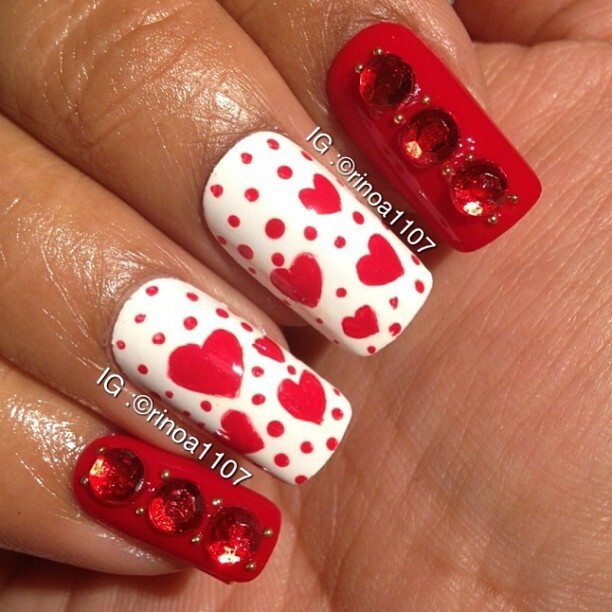 The red nails and red hearts can accentuate the romantic vibe for the day. 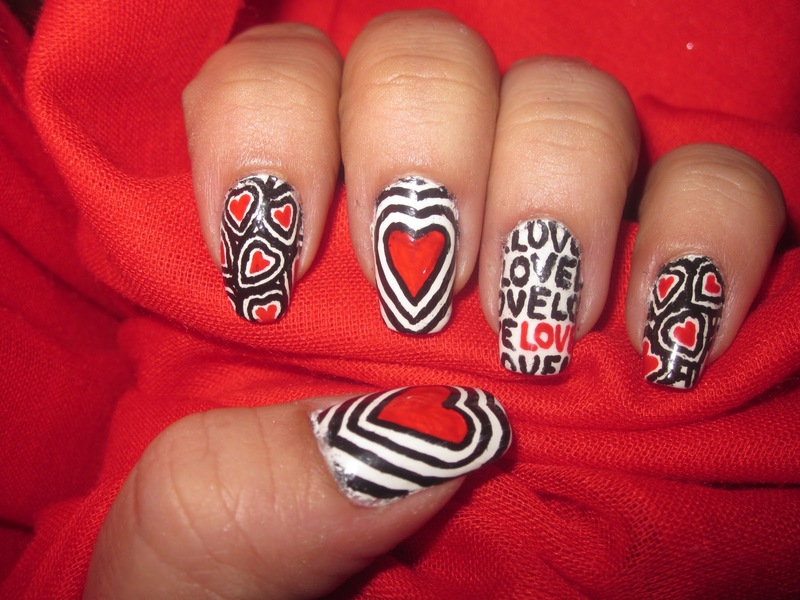 Why not paint his name directly on the nails? The polish is lovely and easy. 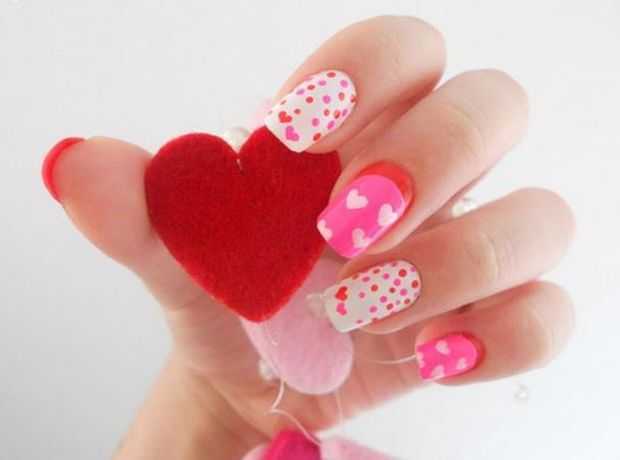 How beautiful the heart shapes are! The polish needs several coats so it is a bit sophisticated, but it comes out perfectly after you take patience to the art. 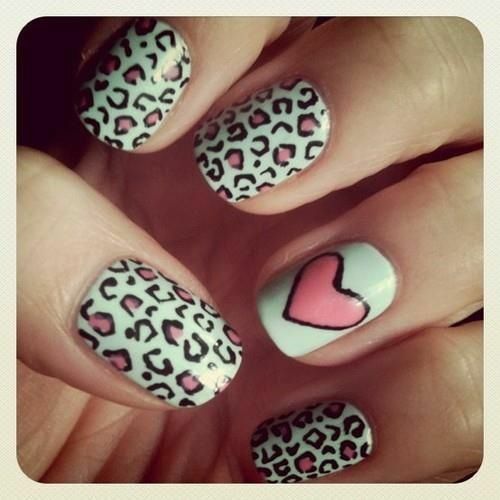 It’s a smart idea to combine a heart-shaped nail with animal painted nails. 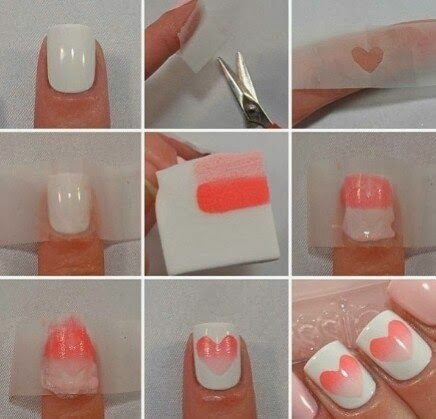 Following the steps, you can have the ombre heart shape. Isn’t pink the best for Valentine’s Day? 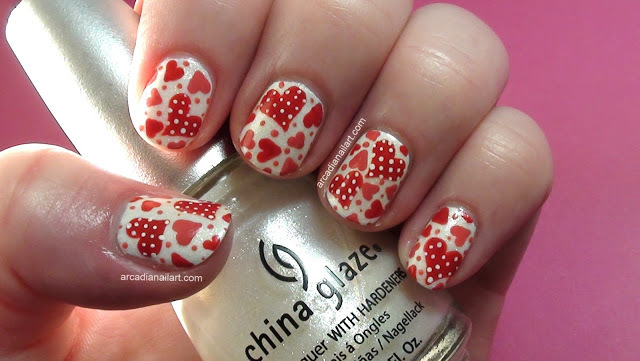 The polish is so lovely that it brings a romantic vibe.